The story reads like a movie script: a longtime executive director; his daughter, the CFO; and her husband, the information technology manager (and the one with a contract to mow the lawns) were arrested this year for decimating a nonprofit that supported at-risk youth. It is a case of paid-off lawmakers, a death threat by a lobbyist, and theft so pervasive it was part of the culture. The organization, South Arkansas Youth Services (SAYS) is listed as an active 501c3 on GuideStar. The most recent 990 filed was for the fiscal year ending June 30, 2016 when it had 446 employees and $14.5 million in government contracts for emergency shelters, residential programs, and therapeutic group homes for at-risk youth. SAYS, which was founded in 1977, declared Chapter 7 bankruptcy in Arkansas’ Western District court in January. Its records show an organization that served the public for four decades. The behind-the-scenes story says something different about who was being served. Let’s start with the theft. Last fall, husband and wife Aric Shane Knight and Jennifer A. Knight were charged with theft by fraud of over $25,000. Both were employed by SAYS, Aric as an information technology expert and Jennifer as CFO. The Magnolia Police Department was notified by an accountant when an audit “found evidence of agency credit card abuse, abuse of monetary funds, electronics and property such as vehicles, tractors and attachments, lawn equipment and trailers.” There are records of purchases of multiple utility trailers, ATVs, tools, and lawn mowers, but the items were not found on any SAYS property and there were no bills of sale. Aric Knight, on top of a salary, had a contract to mow the lawns at various properties with his own equipment. 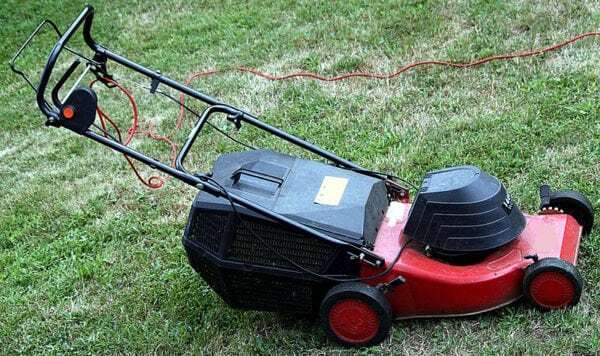 The audit revealed that he used SAYS equipment and he did not mow twice a month as contracted, but only three to six times a year, depending on the property. As the CFO, Jennifer Knight would or should have had knowledge of the transactions. Moving on to the bribery: Jerry Walsh, the longtime executive director of SAYS and Jennifer’s father, recently pleaded guilty to paying an unnamed Arkansas state senator $120,000 for actions favorable to SAYS, himself, and others. An additional $260,000 of public funds were diverted without the board’s knowledge to the lobbying firm of Milton “Rusty” Cranford. Cranford himself faces several charges related to kickback schemes with lawmakers involving SAYS and other organizations. This is a continuation of the public corruption probe that has already won guilty pleas or jury verdicts against former legislators Jon Woods, Micah Neal, Henry Wilkins, Eddie Cooper and Jake Files (Files for a public thievery charge unrelated to schemes in which the others were involved with the Preferred Family Healthcare nonprofit). Sen. Jeremy Hutchinson (R-Little Rock) has also been implicated but not charged. He is, however, apparently not the unidentified “Senator C” to whom Walsh has admitted paying money. To put the foul icing on this ghastly cake, Cranford was charged this spring with planning a murder-for-hire to get rid of a potential “snitch” who was part of the kickbacks at the nonprofit Preferred Family Healthcare, Inc., where Cranford served as a lobbyist and charity executive. Walsh acknowledged SAYS hired Hutchinson and another former senator, Michael Lamoureux, for legal services, but has denied any illegitimate activities. The state is rebidding the operation of the youth facilities. It has not been noted how the illegal behavior of the lobbyists, legislators, and nonprofit administrators has affected the other 440-plus employees. The state Division of Social Services took over in 2016, but several sites run by SAYS stopped accepting new cases in January. In all of this, the possible losses to the children in need in South Arkansas seem to have taken a back seat.